HANDS UP FOR WOMEN'S RIGHTS! These boys are speaking up! Having discussed and shared activities in my Leadership Within workshop, it was time for an Open Space activity. 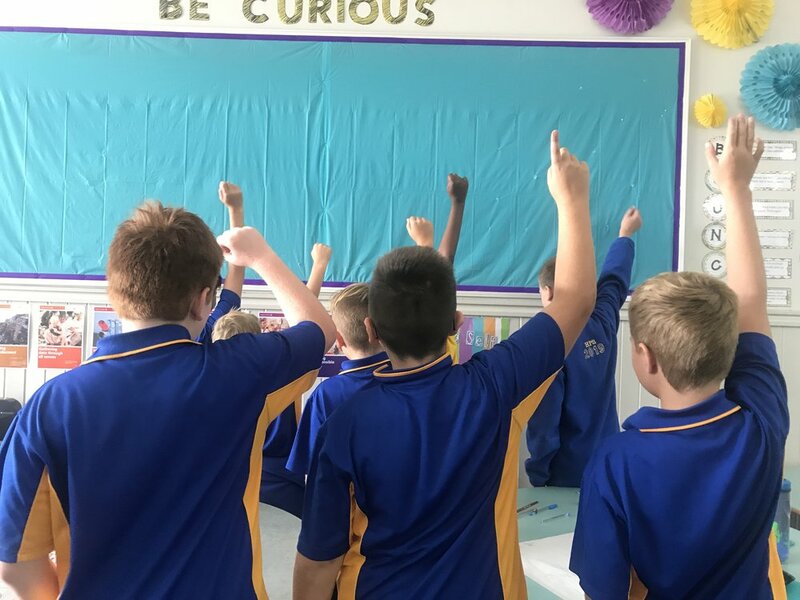 The idea was to allow these Yr 6 Heidelberg Primary students to lead their own discussion groups through topics of their own choosing, and then to create actionable and solution- focussed steps. Students stepped forward to lead groups on topics such as 'Ending poverty,' 'Raising student voices', 'Equality,' 'World Peace,' 'Reducing bullying,' and 'Animal Rights'. 'Excellent', says I, beaming at him. When we had all the topics sorted - 11 in all, the rest of the year level got to choose which group they would go to. Six boys joined the Women's Rights group. It became an all boys group, and I wish you could have all been privy to the mature, rational and inspiring conversation that ensued. Congratulations to the teachers and parents of these boys for raising such consciously aware individuals. Margaret Hepworth is the founder of The Gandhi Experiment. Margaret facilitates Global Citizenship and Leadership Within workshops across Melbourne schools and internationally. ‘Scene One; Scene Two’ - a role play about making better choices. These young students, Yr 4-6 (age 10-13yrs old) are completely rocking my role play on anger management and the choices we can make when we are upset, frustrated and angry. The role play intentionally utilises the learning preferences for audio, visual and kinesthetic learners, so that everyone is readily engaged and learns the messages. 4. To see that both violence and kindness have a ripple effect- and I can be a part of either one. 5. It is a choice. My response is important not just to me but to others around me as well. These kids are amazing improvisers, acting completely off the cuff, acting out one scenario and then going into 'rewind' to act out a different response- and having a ball doing so! My heartfelt thanks to them. Last Friday, I was very excited to be back at Preshil, running a Collaborative Debate with all their Yr 10s. Having studied ethical questions around the Fourth Industrial Revolution - digital revolution - social credit, advanced surveillance technology, facial recognition and more, the topic of our Collaborative Debate was ‘That we need more surveillance strategies.’ Oh yes, it was challenging! I was impressed at how quickly these Yr 10s learnt to shift to this new framework of collaborative conversation, not trying to point score or denigrate, but to open the topic up to further examination. In Collaborative Debating we learn that we may need to pose new questions - create a question chain that will then take us closer to the answers we are seeking. One such question raised by one of the Preshil Yr 10s in relation to new surveillance strategies was ‘What are the outcomes we would be seeking?’ It helped to clarify the purpose and intent of our debate. And as much as we were talking about 'screens' here we were fully engaged in face-to-face conversations, in deep learning. Love it! Sello Hatang, CEO Nelson Mandela Foundation, speaks at the opening of Mandela, My Life exhibition, Melbourne Museum. 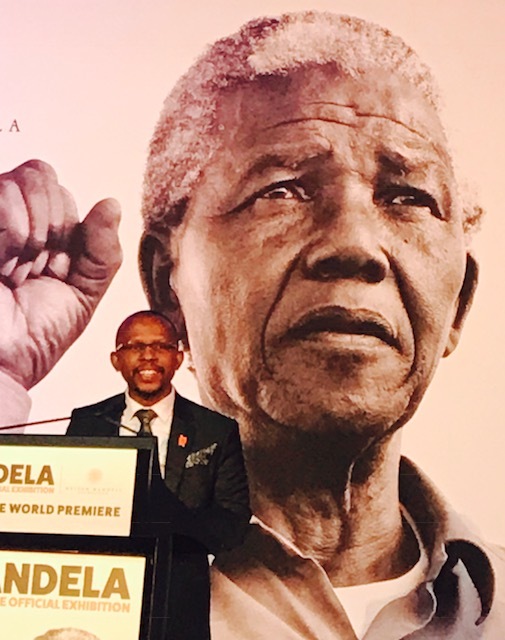 There were many ‘aha’ moments listening to Sello Hatang, the quietly measured, impressive speaker - CEO of the Nelson Mandela Foundation - at the opening of the Mandela, My Life exhibition at the Melbourne Museum. 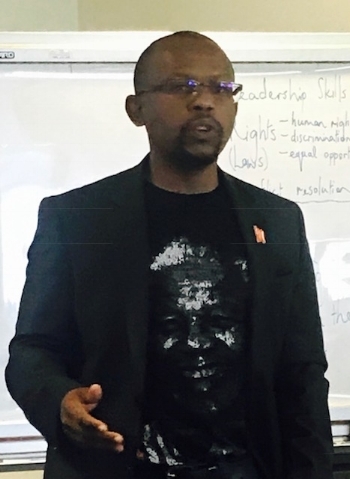 I had the privilege to meet and hear Sello speak again, the very next day, to a more intimate audience at the Victorian Equal Opportunity and Human Rights Commission where I was working with the Mandela 365 organisation, the Commission and 20 young African Ambassadors seeking to become advocates for their communities. Sello’s ‘ahas’ were coming thick and fast: stories of Mandela – his ability to remain humble in the face of potentially usurping adoration; his willingness to travel the journey that we should all be travelling; and that Mandela saw hope as a gift. God knows how he held on to that hope, spending 27 long years in jail. In my leadership workshops with community groups, I call on Mandela as a role model. Only two weeks earlier, with this very same group, I had placed the name ‘Mandela’ on the whiteboard, circled it, and invited the group to explore the values that this man exhibited. They swiftly came up with a weighty list: courage, inclusiveness, empathy, the ability to self-reflect, forgiveness, tenacity – that ability to persevere in the face of seemingly insurmountable challenges. And more. I guess you could argue that this is another way of saying Mandela had the ability to forgive. Not just say it; really do it. Forgive. Yet, for me, this statement was beginning to reveal to us clues we all need if we want to build a more forgiving world. Not carrying bitterness is one of the keys to learning how to forgive. It is the what comes before forgiveness. And forgiveness is paramount in a world that needs healing. ‘Mandela did not carry bitterness.’ Let’s unpack this a little. You will note the statement does not say Mandela never got angry; Mandela never got bitter / upset / frustrated. What it says is that he did not maintain it. Was this innate for Mandela? Was he born like this? I am not sure and certainly he may have been somewhat wired that way. However, his early years and actions with the ANC would suggest otherwise. Or was it a learnt trait? And if so, if he could do this, then surely so can we all. What is the relevance of this to today’s world. Imagine the inter-generational / inter-racial / inter-communal / inter-cultural hatred that could literally be halted in its tracks, right here, right now, if we were all better able to not carry bitterness. The CEO of the Mandela Foundation, Sello Hatang, has put it out there. Yet the mantle has passed to us. How do we teach ourselves and our young people not to carry bitterness? I, for one, am going to keep exploring this. I believe it already exists in the lessons of my forum activity, The Best Forgiveness Role Play Ever, yet I will seek to emphasise it, draw out the learning so that we may all benefit. And I will keep you posted as to new ideas and tools that will come. And of course, the outcomes! Margaret Hepworth is the founder of The Gandhi Experiment. She travels widely, running forums in teaching non-violence as a conscious choice. COLLABORATIVE DEBATING - HEAR IT FROM THE KIDS! On Wednesday I ran yet another Collaborative Debating workshop, this time for the Yr 9s at Donvale Christian College. It is amazing to see how quickly young people can re-frame a debate from being adversarial to respectful once they are taught how to do this. "The idea of Collaborative Debating is much better since it isn't about fighting the opposition but more about coming to an agreement." 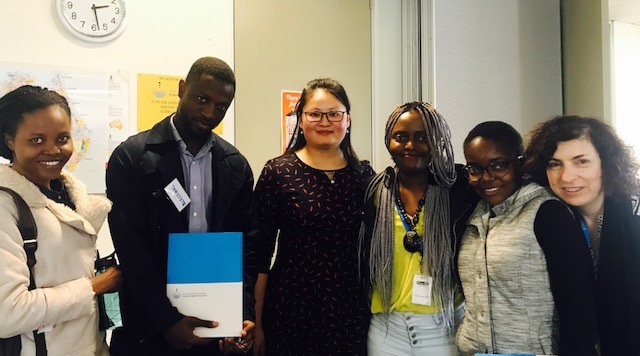 "I learnt that Collaborative Debating is about working together to resolve conflict, yet you can still disagree." "I liked how Collaborative Debating was less competitive and more about communication." "I think Collaborative Debating helps the opposing sides to understand each other's statements without going straight to rebuttal. It was really informative." "We gained a powerful insight on how we can change for the better." My Mindful Coordinator (MC) and timekeeper, doing a sterling job of maintaining respect throughout our debate. 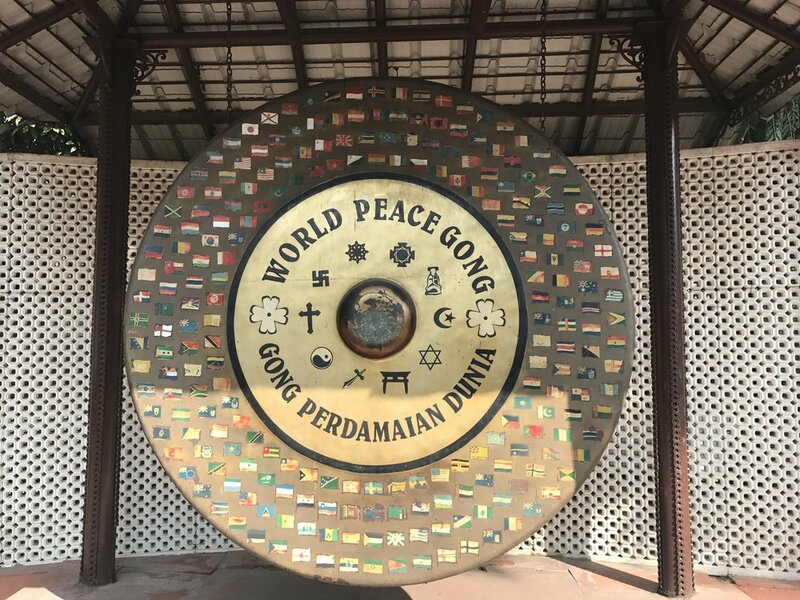 GANDHI'S PRAYER FOR PEACE - LET'S PUT IT TO GOOD USE! At the Gandhi Smriti, Delhi. This is Gandhi’s Prayer for Peace. On the anniversary of Gandhi's death, it seems highly appropriate to call upon his prayer for peace now. Rather than simply reading his prayer-poem and thinking 'oh isn't that nice', let's put it to super good use as a way of seeing those we view as 'the other' in a different perspective. We are about to read the prayer-poem a number of times, in a number of ways. As you read, hear the words, the sound and feel the vibration. Sit quietly for one minute with the thoughts of the poem. Be aware of what comes to mind. Your thoughts may be directly related to the words of the poem or may take you somewhere else. Be very aware of where, or to whom, these thoughts take you. 2.) The scene in this poem is as though two people are sitting face to face, looking directly into each other’s eyes. Read the poem again, perhaps several times. Each time you read it, imagine two people who may be currently seen as oppositional, saying this poem to each other. For example, an Israeli and a Palestinian, a white supremacist with a Chinese-American, one world leader to another, a logger with a ‘greenie.’ Imagine what may have happened if the British had said this to the Native Americans, or the French to the Vietnamese, the Romans to the Jews of Bethlehem. 3.) Braver still, can you say the poem to someone you know? If not out loud, say it in your head, imagining someone you are currently experiencing difficulty with; where a relationship has turned sour. This may be your partner, your teenager, your mother or father, a work colleague perhaps. Be mindful of your thoughts; be aware of the way your body responds; be conscious of your feelings. 4.) Finally, we all know that we are often in conflict with ourselves. Internally, one part of us arguing with another part of ourselves. Read the prayer-poem again, this time allowing the parts of you in conflict to speak to each other. Again, be aware of how you are feeling now. Pastor James Wuye and Imam Muhammad Ashafa share thoughts and wisdoms on overcoming conflict, at the IofC centre, Asia Plateau, Jan 2018. The story of The Imam and the Pastor is a remarkable true story of two men involved in violent conflict who were able to 'Be the change' that has brought equally remarkable peace. "In the 1990s, Pastor James Wuye and Imam Muhammad Ashafa led opposing, armed militias, dedicated to defending their respective communities as violence broke out in Kaduna, northern Nigeria. In pitched battles, Pastor James lost his hand and Imam Ashafa’s spiritual mentor and two close relatives were killed. I was privileged enough to hear them both speak and meet them personally in Panchgani, India very recently. To me, they emulate what can be achieved if we set our hearts and minds to it. Kids teaching kids - it doesn't get better than this! 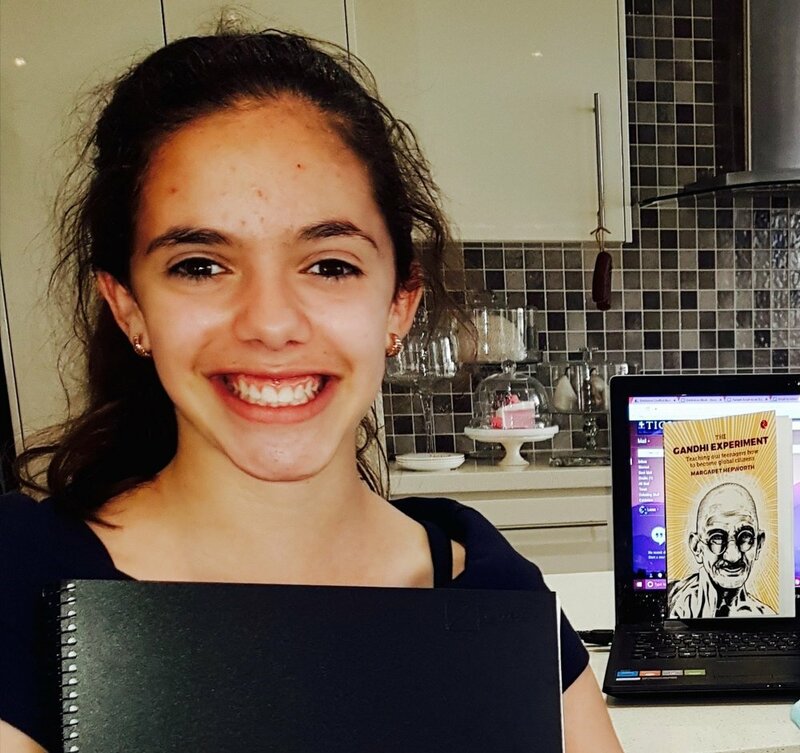 Loren's teacher then fully supported her and her friend in using 'The Gandhi Experiment - Teaching our teenagers how to become global citizens' as part of their research on their project on Conflict Resolution. These two young people contacted me over Skype and asked a series of questions about conflict negotiation. I was so impressed with the maturity of their questioning and their thinking. And more-so that they were pursuing conflict resolution as something they felt they and their peers needed to learn more about to enhance their own lives. Amazing teamwork - parent/teacher/student all working together - to achieve valuable life-skills. Blessings to you all. This article comes with Loren's mum's blessings too. She is a proactive parent who believes that teaching her children life-skills, such as conflict negotiation, will auger well for their futures. Timbertop - Geelong Grammar's remote Year 9 campus. Yr 9 students, and their teachers, learn a new methodology in debating. It was the last week of Term One and a bunch of Year 9 students were learning new skills – how not to be sarcastic; how not to tear each other down; how not to let that ego prance and dance all over a perceived opponent. Instead, they were learning to debate with respect. A novel idea, in the throes of a world that opens them up to the Clinton / Trump debates, online bullying and a media that so often names and shames. In fact, they no longer even had a perceived opponent! Instead they were coming face to face with people who had alternative beliefs and opinions to theirs, yet who now approached debate with the intent to look for points of agreeance and to solve the problem at hand. Before beginning the debate, we examined language and how it shapes our thoughts. It was generally agreed that a debate that began with an Affirmative team and a Negative team was setting up adversarial positioning, just as our politics are framed by the Government and the Opposition. Look what happens when we begin the debate with an Affirmative Team and a Cooperative team. Can we ever move to a point where we have the Government and the Cooperative Party? Politicians who seek to build on each other’s ideas for the betterment of the country? We examined the notion that just because ‘this is the way it has always been done’, doesn’t mean we cannot re-imagine it, and therefore change structures to create a more solution-driven outcome. The Cooperative team prepares their debate. A member of the audience also researches her stance on the topic. The debaters soon discovered that they could think for themselves – that they didn’t have to tow a party line. That when the Mentor asked ‘Does anyone want to cross the floor right now’, they could. With no detrimental effect from their team – because the team was not seeking to win against the other team. They were seeking to make things better for the entire community. To find the best outcomes even through disagreeance. For myself, as the creator of Collaborative Debating, I could not have been happier with the outcome. The teachers soon successfully ran their own Collaborative Debates, and scored PD through the learning! The key role of the Mentor, formerly the adjudicator, who no longer ranks, judges or scores, was modelled in each debate, by myself, to a Year 9 student – an assistant Mentor. And every time, without fail, that student had grasped the role and was on their feet invoking Guidances through each debate. I was struck by how rapidly they were able to take this on. A happy teacher's message scrawled on the 'What's Happening' board outside the library. It was rigorous academic learning at its finest. Values education sunk deeply into the English classroom, both overtly and covertly being learnt by 15 year olds. Respectful learning that can be taken into the playground, homes and future workplaces. It has affirmed my own belief that every school should be teaching Collaborative Debating. Collaborative Debating manual now available for purchase. For a happy discount, just ask! If you wish to know more about Collaborative Debating – how to purchase the Collaborative Debating manual or how to book a workshop – for students, teachers or even into the corporate world – go to www.thegandhiexperiment.com or simply email Margaret – margaret@margarethepworth.com or call 0422 154 875. More stories coming soon and look out for our Facebook Live when Collaborative Debating comes to the steps of Parliament House! 72 people have been killed in the recent protests since July 9th, 2016, and over 11,000 people injured. Hundreds have been blinded or suffer structural eye damage through the use of pellet guns; many of these are children. Rajmohan Gandhi writes of the situation and suggests a lateral, thought provoking call to end the violence http://indianexpress.com/article/opinion/columns/kashmir-violence-unrest-drop-the-stone-3002958/Sending prayers, thoughts and this poem, to all people caught up in the crises. Change the world and make a difference through educating teenagers. Help The Gandhi Experiment teach peace building, transformational student conferences. I awoke in the middle of the night; something called me to glance at my phone. There was a message - 'Iram M has been marked safe in the explosion in Gulshan-i-Iqbal Park...' The what? It was 3.15am my time when I opened Facebook messenger and began messaging friends in Lahore, Pakistan. This is when Facebook works at its best. I received immediate responses from some; others I am still waiting to hear about their safety. And whilst I can breath a sigh of relief for those I have heard from, I feel intensely for the people who have lost their lives or are lying wounded in hospital and for their distraught and grieving families. 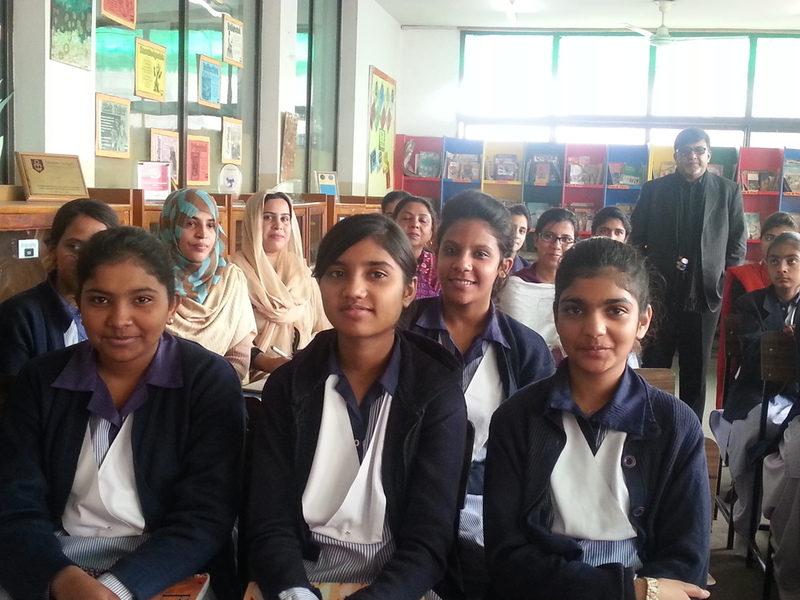 On my recent visit to Pakistan, everywhere I went I met kind, open-hearted, generous people. People who spoke openly about the effects of fear on their children; people who want to be proud of their country, yet struggle with the knowledge that a few are destroying the image of a decent Pakistan; people who want exactly the same things as parents all over the world for their children - peace, love and security. I met happy, vibrant children and teenagers, fully engaged in their learning; wanting to know and understand global issues; wanting to be part of the solution. My heart goes out to you all on this day. The second comment I wish to make is this. To the people who perpetrate these acts, if you want your cause to be heard, to be known, then speak, because your violence deafens us. We invite you to the table to talk; we wish to work with you in peace; we invite you to welcome peace education into the schools of your children and to make non-violence a choice over violence. This choice will create a better future for you and your children. My heart goes out in this appeal to you today. Peace education is the way forward to unravel the root cause of social conflict. If you would like to reply to this post, please leave your message below. I’m Margaret Hepworth and I am a peace educator. If that concept was as well understood as ‘Hi, I’m an English teacher’…then the type of changes that are needed in this world…? We’d already be seeing them. We need to embed peace education in our school curriculum. I am walking; blissfully filling in time on a dusty Mumbai street before I am due to attend a Youth for Governance Forum. Up ahead, clothes and rugs colourfully adorn a mid-street barricade. Ah, memories of my days living in China; someone’s washing has been tossed over the metal frame for a public airing. I decide to take a photo to remind my children of their early days in China. But suddenly this becomes a photo that cannot be taken. For now I see the family, the owners of the washing. Without realising it, I am centre stage in an Indian roadside slum. Have you been wondering about the asylum seeker debate in Australia? Would you like to become better informed? Would you like to do more? Click on the links below to find a list of items that range from reading and viewing to becoming actively involved.